The late Col. John Boyd was constantly admonishing leaders in the United States to remember that in the field of human competition the three most important determinants of success are People, Ideas and Things – in that order. Identifying and developing good decision makers is the first obligation of any organization – without those decision makers the best ideas will not emerge and cannot succeed. Organizations are already full of potentially brilliant leaders who just need to be unleashed on the problems and opportunities crisis or conflicts are made of. Teaching Adaptability With Outcomes Based Training & Education (OBTE) OBTE is training from the Neck Up and is part of the adaptive Leader program and imparts the concepts and skill set necessary to become an adaptive organization, capable of handling conventional and unconventional crisis and conflict – balancing the harmonized effort of the traditionally centralized structures of organizations with the individual leadership, initiative and creativity found in learning organizations or bottoms up culture. Empower leaders within your organization to seize opportunities and react to threats as they emerge. The Adaptive Leader program is an exciting first step on the road to creating a fast moving, adaptive organization with dynamic and courageous leadership. We use proven learning methodologies to ensure participants stay fully engaged and involved throughout the two-day session. Our workshops are filled with interactive Tactical Decision Exercises (TDEs), peer assessment and lively analytical discussions creating a safe yet challenging environment for all participants. The course runs non-stop, creating a fluid and engaging learning environment. Participants are always in a situation conducive to the development of personal initiative, team work and adaptability. Everyone takes an active role in the course. 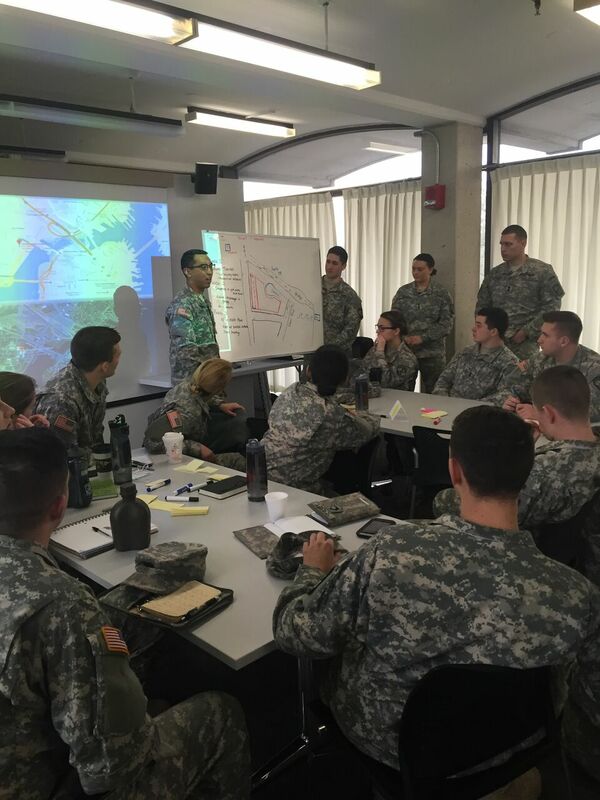 This may consist of learning how to evaluate peers during Tactical Decision Exercises, briefing solutions to the class, or assuming a leadership role during one of the many Tactical Decision Exercises. Quickly develop a sense of trust among their team as they explore complex problems and build dynamic, adaptive teams. During the workshop we will introduce and practice After Action Reviews (AAR), a tool adapted from the military world and a vital building block for developing adaptive leaders and teams. The trust, respect and understanding developed within the workshop enables students to honestly, effectively and critically evaluate themselves and their peers, critiquing the decisions not the decision-makers. Conducting effective AARs is also a great way of promoting an adaptive culture, helping disseminate knowledge, experience and hard-won lessons throughout the organization and encouraging the faster and more effective decision making and action we aim to deliver our clients. Our approach to teaching with TDEs utilizes Outcomes Based Training & Education (OBT&E) theory, proven to embed and imprint experiences in adult learners. Participants in our course will learn adaptive leadership concepts in their own words and by relating their personal experiences to the principles taught. Only at the end of each session is the concept they have ‘discovered’ given a name. Learning through TDGs builds strength of character in leaders, teaching them how to think rather than the classical approach using “process” and “task” training methods that attempt to teach leaders “what to think”. FRED T. LELAND, JR. is the Founder and Principal Trainer of LESC: Law Enforcement & Security Consulting (www.lesc.NET). He is the author of “Adaptive Leadership Handbook: Innovative Ways to Teach and Develop Your People, written for police and security professionals, published in January 2014, and is available on Amazon. In addition to his work with LESC, Fred Leland is an active Lieutenant with the Walpole (MA) Police Department. He previously worked as a deputy with the Charlotte County (FL) Sheriff’s Department and before that spent six years with the United States Marines including as a squad leader in Beirut, Lebanon. Leland is an accomplished trainer with more than 28 years’ experience teaching law enforcement, military and security professionals. His programs of instruction include handling dynamic encounters; threat assessment; nonverbal communications; decision making under pressure; evolving threats; violence prevention; firearms; use of force; officer created jeopardy and adaptive leadership. He is also a 2004 graduate of the FBI National Academy Class 216, and a current instructor for the Massachusetts Municipal Police Training Committee. Outcomes based training and education (OBTE) is his approach to creating and nurturing decision makers to observe, orient, decide and act while considering consequences.